Although the following scholarship timeline is geared towards high school seniors, early fall is important for anyone starting their scholarship journey. This includes nontraditional students, current college students, and graduate students. Everyone should be ready to meet deadlines starting in September of each year. Ideally you should begin preparing in the summer before you are ready to begin or continue your studies. If you need money to start, NOT to continue, you should start your search for funding in the fall of the year before you plan to begin. For example, if you are planning to begin studying in the fall of 2020, you should begin your search for college funding in the fall of 2019 (or before since college money can be won as early as age 6 – see Senior Year Head Start). The following scholarship timeline is for high school seniors. For more on activities you should complete to increase your scholarship chances beginning in 7th grade on through to your 1st year of college, refer to Chapter 32 in Winning Scholarships for College. 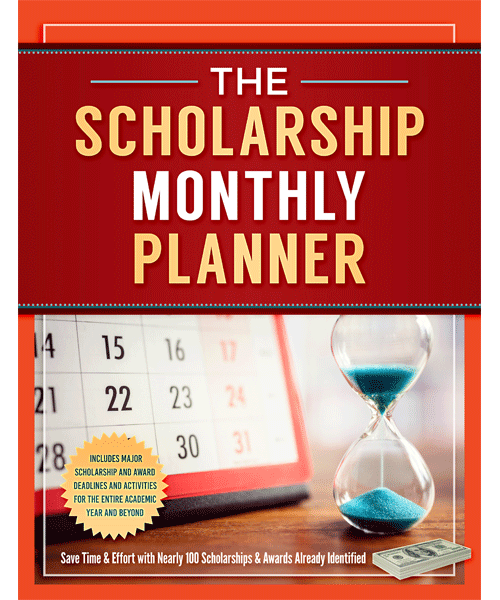 You should also review The Scholarship Monthly Planner for more help staying on top of deadlines and activities important to your scholarship success. If you’re looking at this timeline and you have students in kindergarten through the eleventh grade, Winning Scholarships for College has a special chapter devoted to scholarships and awards that students can win as young as age 6. SPECIAL NOTE: All chapter references in the timeline refer to the 4th edition of Winning Scholarships for College unless otherwise noted. Although regular mail is rarely necessary to get information now, write two inquiry letters just to be ready for the few programs that may ask. Prepare one for colleges/universities. Prepare one for other organizations such as companies, associations, sororities, fraternities, etc. (See chapter 2 in Winning Scholarships for College – “The Scholarship Search: Discovering Hidden Treasures”). Register for the SAT and the ACT. Go to the Taking Tests section of The College ToolBox. 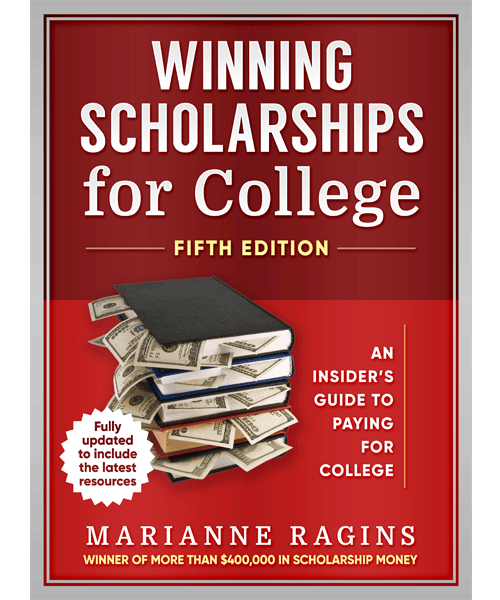 (see chapter 8 in Winning Scholarships for College – “Taking Tests”). If you haven’t been active in extracurricular and community service activities, start now. Continue the activities throughout your senior year. For more information on scholarships you can win based on community service or on how your service can help you win general scholarships, review chapter 14 – “Scholarships and Awards for Community Service, Volunteering, and Work” in Winning Scholarships for College. Contact or arrange meetings with your counselor or career center director at least twice (in the way they want to be approached – some have specific methods for contact). (see chapter 7 – “Getting the Most from Your Counselor”). If possible, you should ask for the following from your counselor in your first contact or meeting. A list of local organizations that offer scholarships or awards to students in the community. A schedule of local college fairs or visiting student or college representatives. Information about AP Exams. Also, discuss these with the teachers of your advanced placement courses. Examine your activities résumé. Make sure it’s thorough and well presented. Give your counselor a list of the scholarships for which you’re planning to apply, their deadlines, whether you need a recommendation or a transcript sent for them, your résumé, and any other additional items you are planning to include with your applications. Many counselors may be using the CommonApp process for recommendations but many outside or private scholarship programs will not use this. See chapter 10, “The Application,” in Winning Scholarships for College for more information about the Common Application. Also review chapter 13 for more information about getting good recommendations. If you have written essays for questions on scholarship applications you already have, review them with your counselor and your English teacher to see how well they think you have answered the questions and shown your qualities. See chapter 11 in Winning Scholarships for College for more information about writing essays that get noticed. In ongoing visits to your counselor or career center director’s office, ask him or her about recommendations, mid-year reports, and transcripts they’ve sent or are sending for you. Chapter 7 of Winning Scholarships for College includes questions you should ask your counselor/career center director beginning in your freshman year of high school as well as additional meeting suggestions for your senior year in the Counselor Visitation Timetable. Please be mindful of your counselors’ time and be nice with your requests for help and information. START THERE FIRST, THEN PROCEED TO OCTOBER! IT’S NOT TOO LATE TO START! Continue researching scholarship programs. Put plenty of effort into your scholarship search during the fall of your senior year. Remember! Most scholarship deadlines, particularly those for large amounts have early deadlines. Prepare two basic essays: one describing yourself and another outlining your future career goals. (See chapter 11 in Winning Scholarships for College – “Writing Scholarship Essays That Get Noticed”). Start applying to scholarship programs with early deadlines. Review The Scholarship Monthly Planner and our FAQ’s section. Be careful about early decision applications to colleges and universities. The commitment many require if you are accepted could limit your flexibility to choose a college/university that may be offering more financial aid. Make sure you understand any commitments you make. START THERE FIRST, THEN PROCEED TO NOVEMBER! IT’S NOT TOO LATE TO START! Continue researching and applying for scholarships. Visit colleges and college fairs. Also go to https://studentaid.ed.gov/sa/ to learn more about Federal Student Aid options. START THERE FIRST, THEN PROCEED TO DECEMBER! IT’S NOT TOO LATE TO START! Continue researching and applying for scholarships. START THERE FIRST, THEN PROCEED TO THIS MONTH! IT’S NOT TOO LATE TO START! After this month, deadlines for major scholarships will begin to dwindle. Consider looking at last minute options. 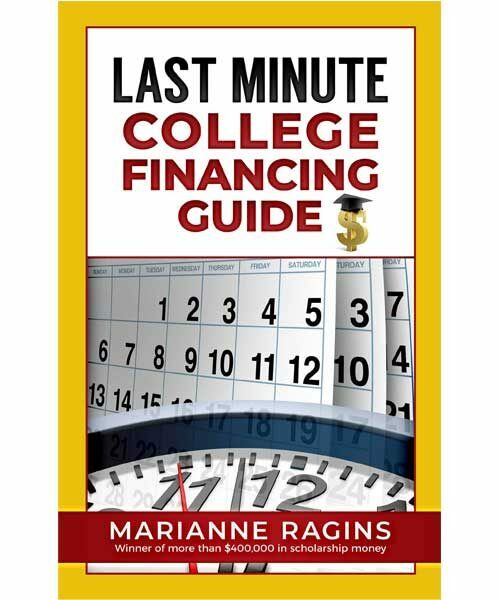 Review the Last Minute College Financing Guide. If you didn’t get enough free college financial aid to cover your costs for four years initially, begin the research process for students already in college so you’ ll be prepared for the scholarship process in your college freshman year. (see chapter 18 in Winning Scholarships for College – “Scholarships for Current College Students and Transfer Students”). Also see College Survival & Success Skills 101 for additional strategies to find money as a current college student.